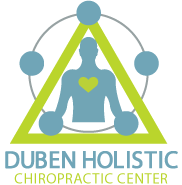 At Duben Holistic Chiropractic Center in Thousand Oaks, we strive to take care of your spine using the latest chiropractic treatments. We are excited to be able to offer spinal decompression services, which ease bulging and slipped discs naturally. If you know you have back problems, and seek an alternative to surgery, read on to learn more about spinal decompression and find out if it may help you in injury recovery. Spinal decompression is a type of chiropractic adjustment that uses a traction table to elongate the spine. First, our chiropractor straps you to the table to keep you still during treatment. Then, with the aid of a computer, we move the traction table through a series of pre-set positions that are designed to restore spinal length and positioning. As we do this, your spinal column begins to stretch out naturally, regaining some of the lengths that it has lost from compression. As we continue treatment, spinal discs and bones will gentle slide back into place. Thus, it is possible to have a non-medicated back pain treatment that resolves your issues. If we are using spinal decompression, we may also deliver chiropractic adjustments by hand. These allow us to fine-tune your adjustments for a complete healing. Once we perform spinal rehab, we may suggest that you take supplements or make lifestyle adjustments to support spinal health. We strive to provide complete healing and whole body wellness, so following these recommendations can help you fully recover from your injuries and stay healthy in the future. Why Choose This Spine Pain Treatment? Spinal decompression is particularly effective at treating sciatica, slipped discs, herniated discs, and bulging discs - painful conditions that limit your mobility and quality of life. When you have a slipped, bulging, or herniated disc, the last thing you want is an invasive surgery with a lengthy recovery. Since our treatments ease the pain and return you to full health, you do not need to choose surgery. Our chiropractors in Thousand Oaks take a comprehensive approach to treating back pain and other conditions. We take a complete health history on your first visit, asking you about your nutrition, your work, your lifestyle, your activity levels, and more. This way, we can make sure that we choose the right treatment method for your injuries. We use this information to not only treat your back pain but come up with a complete care plan to restore your musculoskeletal system to proper alignment. Since every patient is unique, each of our care plans is tailored to the individual seeking treatment. If you are injured, and you would like to end your chronic pain and manage back pain naturally, take the first step today and contact our chiropractor to schedule a consultation. We can examine your injury, talk you through treatment options, and get you on the road to recovery using natural methods that are proven to work. To reserve your consultation with our Thousand Oaks chiropractor, please call us today at 805-468-4437.